Have you noticed that modern Christians seem to have a plethora of humility? Catch phrases include transparency and don't judge. Hypocrisy is the cardinal sin. Right along with looking like you might have it all together. Whether or not you actually do or don't (have it all together). It has colored our relationships and our world view. It has biased our ideas of Biblical truth. Discretion has been neglected. 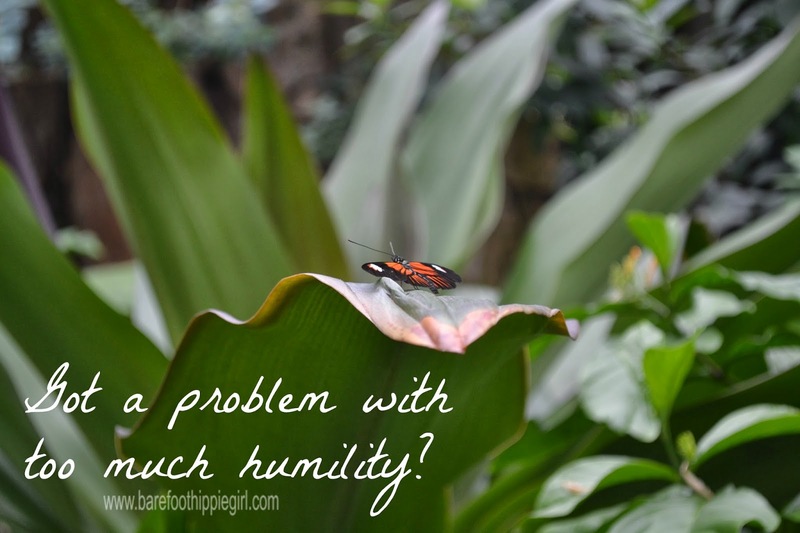 And really, though we seem to be humble, our humility is often a disguise for pride. Because it is still saying, "look at me", instead of, "look at Christ." Confession has become a way of acknowledging sin-like it should be. But, there is little repentance. It is more often, "this is the way I am. Don't judge." A window is transparent. It shows what is inside. 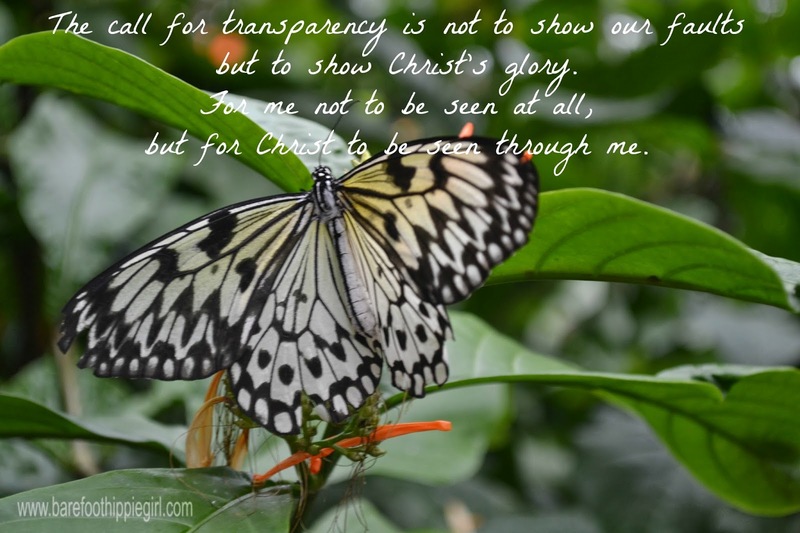 Our transparency should not point to us at all. People should be able to look through us to Christ. Unclean windows often reflect what is on the outside, not reveal what is on the inside. (sunshine-dirty car windows) Confessing our sins to God and receiving His forgiveness and cleansing is the way for our window to become clean. It isn't so we can excuse our sin, but turn from our sin and live in victory. It is so people can see Christ in us, even through our weakness. 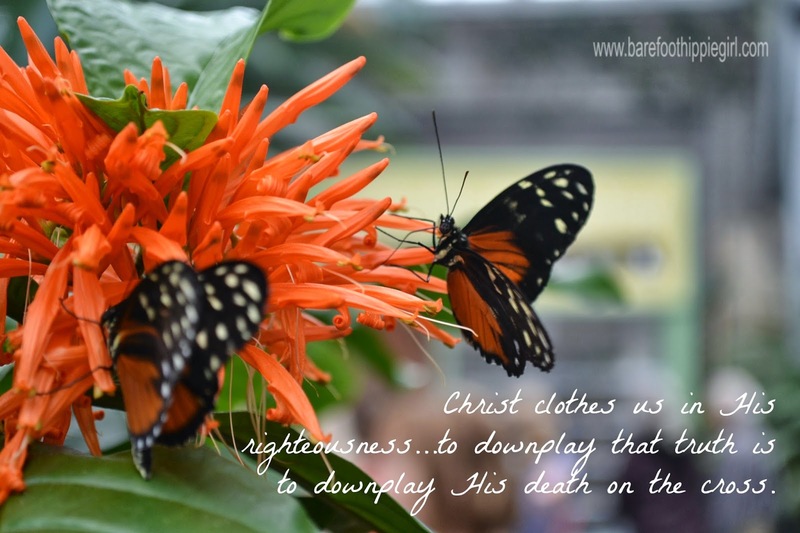 Recently in a group setting, I heard someone mention, in conjunction with the idea of being clothed in Christ's righteousness, that she really isn't clothed in His righteousness. Not because she isn't saved, but because she sins regularly. The clothes are there at her disposal, but they are not on her. When it is time for her to go to heaven, she will pick up those clothes and enter heaven. Everyone in the group was oohing and aahing over the profoundness and truth of her statement. They were commiserating with her because we are all sinners saved by grace who still fail. But, you know what? She was wrong. That is not what the Bible teaches. Her humility is causing her to believe something that is not Biblical. We are not righteous because of anything good we have done. We are righteous because Jesus Christ clothed us in His righteousness. He died in order for us to be clothed in His righteousness. There is nothing I did to deserve that righteouness. There is nothing I did to put that righteousness on. He did the work. There is nothing I can do to take that righteousness off. That would be to say that I had a hand in putting it on. To say that I can take Christ's righteousness on and off because of how awful and sinful I am, is to cheapen Christ's work on Calvary. My point is not that I am not sinful. (I am shocked by some of the words and thoughts and actions that flow out of me.) It is that I am resting in Christ's completed work. He has made me a new creature in Him. Old things are passed away. All things have become new. This is not a point of pride, but a point of humility and truth. Our humility causes us to be weak on points where we should be strong. Our humility emphasizes love to the detriment of truth.